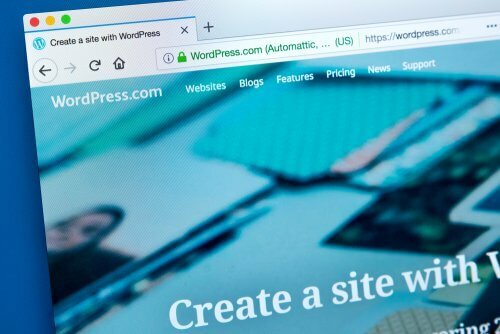 On December 6th, WordPress came out with its new version 5.0. Most of us were surprised as this came out at short notice. Many reports have suggested that the upgrades were successful. However, with our experience, there will be issues with the new upgrade. To ensure this update goes as smooth as possible, we’ve listed some key points you should consider. A PHP is a scripting language that brings together WordPress, themes, and the plugins to WordPress itself. Depending on the time the website was last updated this can cause a confliction to some of the updated plugins and themes. The best approach to this is by upgrading to the latest PHP version. This can also improve the site speed. Most WordPress plugin authors are constantly releasing their version that is compatible with WordPress 5. Updating your plugins is always a good practice as this will prevent any buggy experience. 3. Backing Up Your Site. If you have not already done so now would be a great time to back up your website files before upgrading your site to WordPress 5.0. The last thing you need is a new version of WordPress with nothing to show on your website! It’s better to be safe than sorry. We believe this should be optional, but staging a site means creating a copy of the site and making changes to it. If you’re looking to play around with the website layout, this method would be ideal without it being visible to anyone other than you. We recommend using a free plugin called WP Staging. The plugin will create a hidden folder to your hosting so not only will invisible to the public but will also keep all your changes separate from the real site. And when you are ready to upgrade, you can just hit a button, and it will instantly move the entire site to the actual site from the staged site. 5. Don’t Be Afraid to Update. Updating your website to the latest version of WordPress can seem daunting to do, but following these key points above will help you be prepared for any bug issues, especially during this busy time of the year. So instead of being afraid, take matters into your own hands and approach with careful considerations for the best possible outcome.